These bags can be used and thrown without any kind of harm to earth’s natural balance. The thickness of Biodegradable zipper bags ranges from 37.5 Micron to 150 Micron. 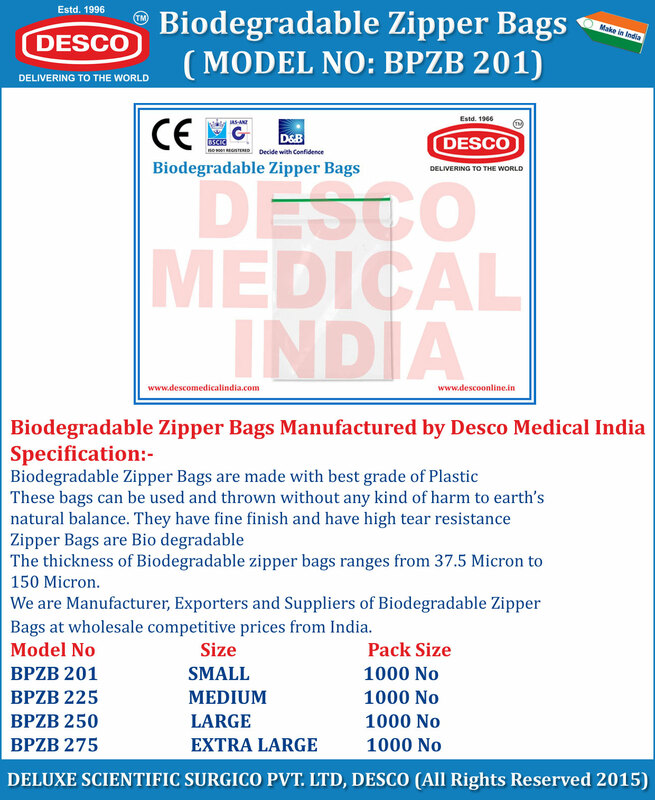 We are Manufacturer, Exporters and Suppliers of Biodegradable Zipper Bags at wholesale competitive prices from India.